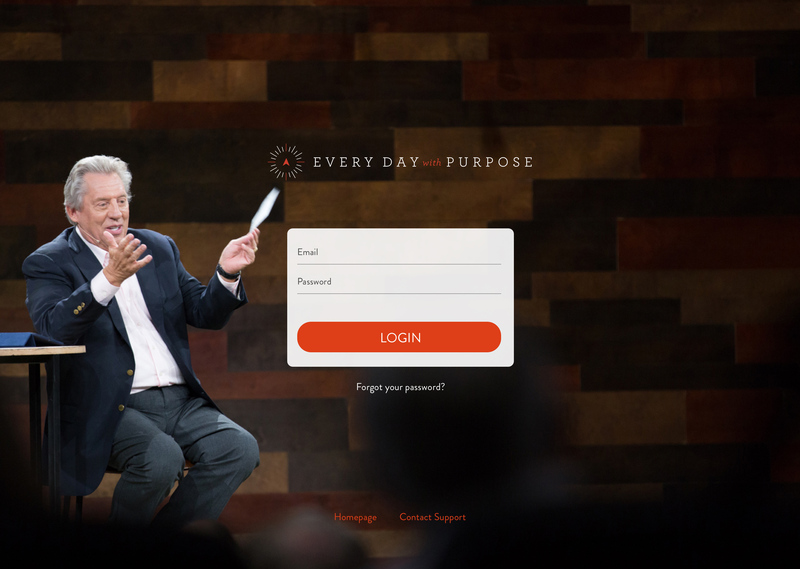 Every Day with Purpose is a digital course created by John C. Maxwell, that helps you find your purpose and live a life of significance. For this project I created a sales page and a membership site where people could access the content. 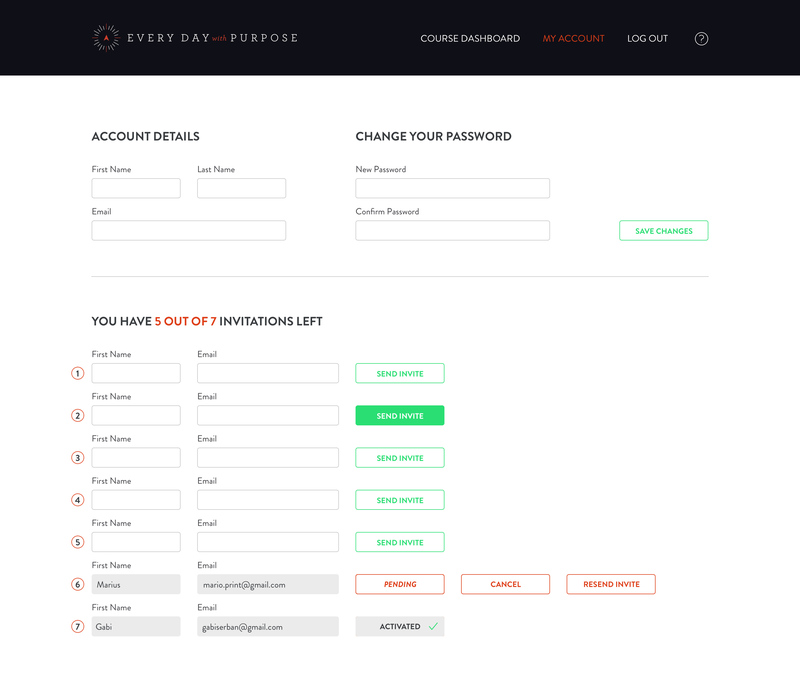 For the membership site we decided to go full custom instead of using something like Kajabi. 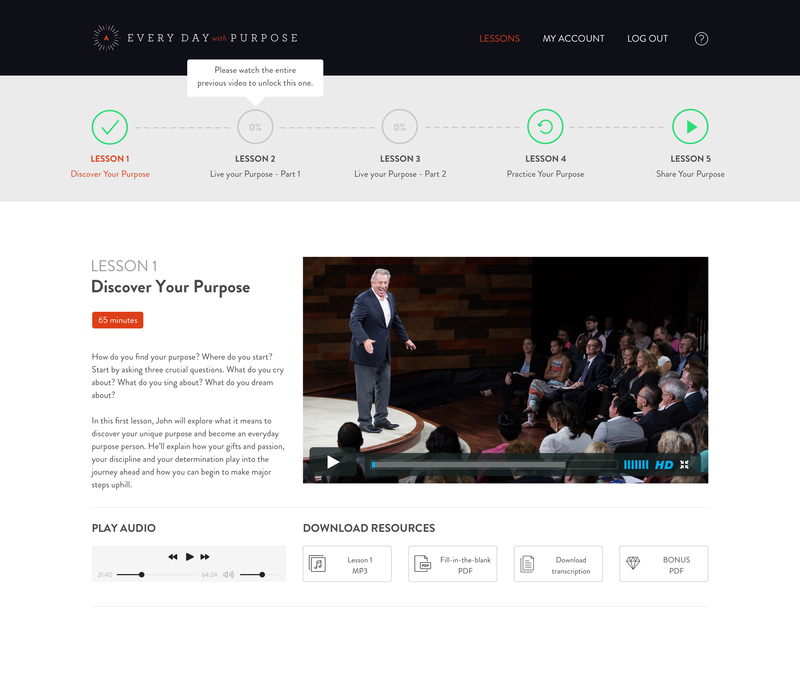 The reason is that by going custom we've been able to use Wistia as our video player, and by taking advantage of Wistia's powerful API we were able to create a customized marketing experience for each member based on their individual progress.